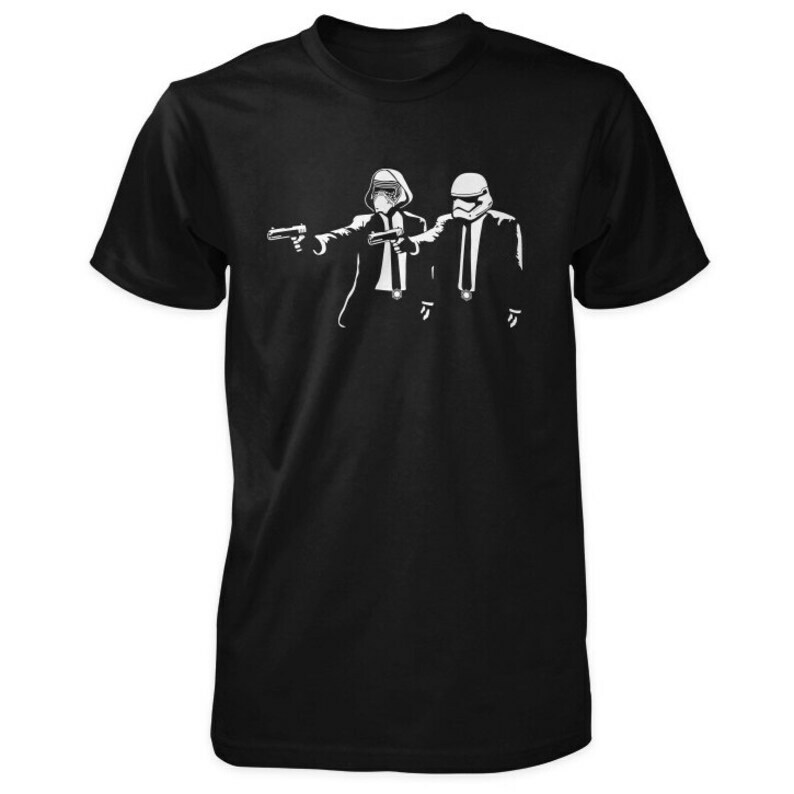 New Star Wars Pulp Fiction inspired shirt! Kylo Ren & First Order Stormtrooper. This hand screened printed t-shirt features original Dagobah vector artwork of a Star Wars and Pulp Fiction inspired mashup of Kylo Ren and a First Order Stormtrooper. Another awesome creation. - Fully double needle stitched. - Screen printed by The Dagobah. If for any reason you are unhappy with your purchase, return the item in its original condition within 30 days of delivery date for a refund. Great product with a unique design and good quality.